The most highly recruited Cowgirl skier of all time, Ann Melander became a two-time national champion during her time at Wyoming. She came to Wyoming as the Swedish national champion in both the slalom and giant slalom, as well as the U.S. National Slalom champion. She finished ninth in the giant slalom event at the 1980 Olympics. She was an eight-time Swedish national champion, and produced four top-10 World Cup finishes. She brought that success to the Cowgirl team. 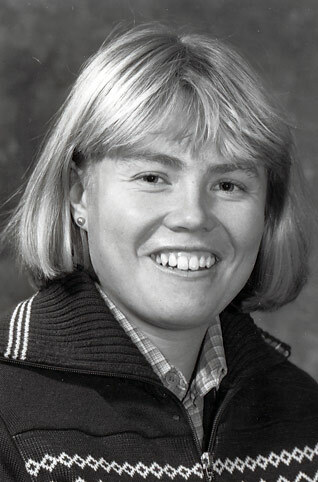 As a freshman she earned All-America honors in 1985 by winning both the slalom and giant slalom at the 1985 NCAA Championships, leading Wyoming to the national title. She was the only individual to win a title for the team during the championships. Melander won the giant slalom with a two-run time of 1:48.74. On the final day of competition and with Wyoming trailing Vermont, Melander led a Cowgirl one-two-three sweep in the slalom to seal the national championship. Her time was 1:23.23. With that effort Melander became the only Cowgirl ever to win two titles at the same NCAA Championship. Wyoming unseated two-time defending national champion Utah for the title by 20 points. Melander finished her career in her native Sweden.